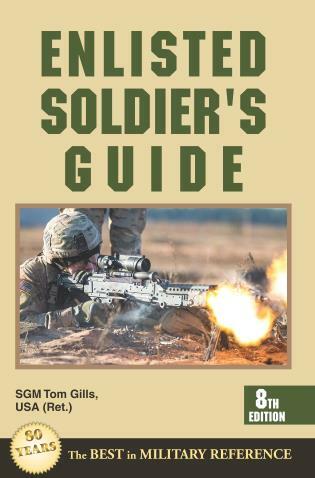 This military reference guide, completely revised for the current army, is targeted at young men and women who have enlisted in the U.S. Army or are thinking about doing so. The book is a must-have resource for a successful career or tour as an American soldier and covers duties and responsibilities, promotion and career opportunities, real-world issues, customs and traditions, uniforms and insignia, pay and benefits, physical fitness, and personal and family matters. Thomas S. Gills is a retired U.S. Army sergeant major who knows how to get ahead in the military. His thirty-year army career included every leadership position within human resources management, and he also served as a basic training drill sergeant, a drill instructor at the U.S. Army Drill Sergeant School, and an infantry first sergeant. He lives in Fredericksburg, Virginia.